I've just come back from three days of shooting at The Ladder Ranch in Wyoming, a place that has captured my heart. The O'Toole family, with their roots in the area since the 1880's, is committed to sustainable ranching and environmental conservation. In fact, they have just won the 2014 Leopold Conservation Award for their enlightened stewardship of the land. 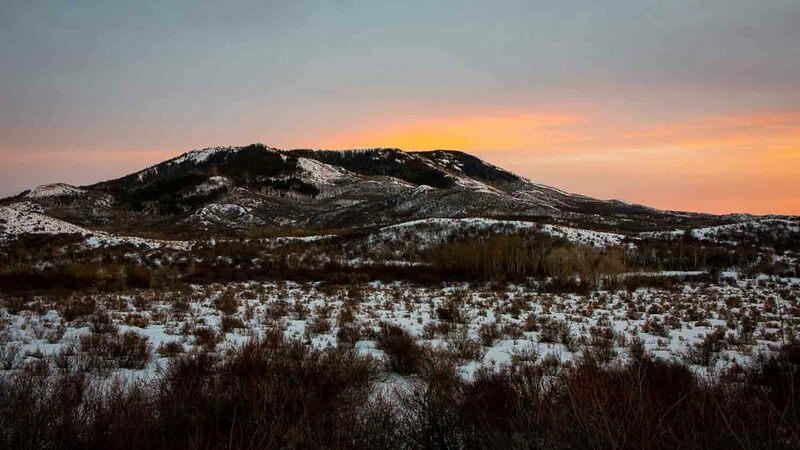 Ironically, an energy exploration company is coming into the area to do hydraulic fracturing on Battle Mountain (shown here). The concern is that drilling will not only create problems for wildlife migration, but will also impact sage grouse (an endangered species) that live in the area. It has already impacted the fall hunting season, one of the sources of income for the ranch, and there is an issue with how much water is needed to do this kind of drilling when the West is experiencing a devastating drought. The O'Toole's intend to fight this drilling, and I'll be documenting the situation as best I can. Over the next week, I'll be posting more images from this week's shoot.